By turns macabre, uplifting, sinister, and heartwarming, Neil Gaiman’s #1 national bestseller is an ingenious reimagining of Rudyard Kipling’s classic adventure The Jungle Book. Called a “novel of wonder . . . a tale of unforgettable enchantment” by the New York Times Book Review, The Graveyard Book will captivate readers of all ages with its timeless meditation on love, loss, survival, and sacrifice . . . and what it means to truly be alive. 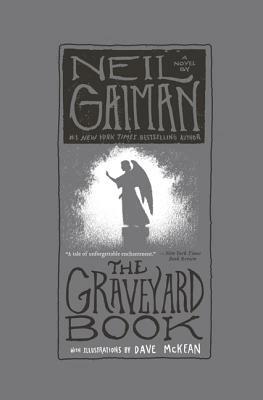 “The Graveyard Book is everything everyone loves about Neil Gaiman, only multiplied many times over, a novel that showcases his effortless feel for narrative, his flawless instincts for suspense, and above all, his dark, almost silky sense of humor.